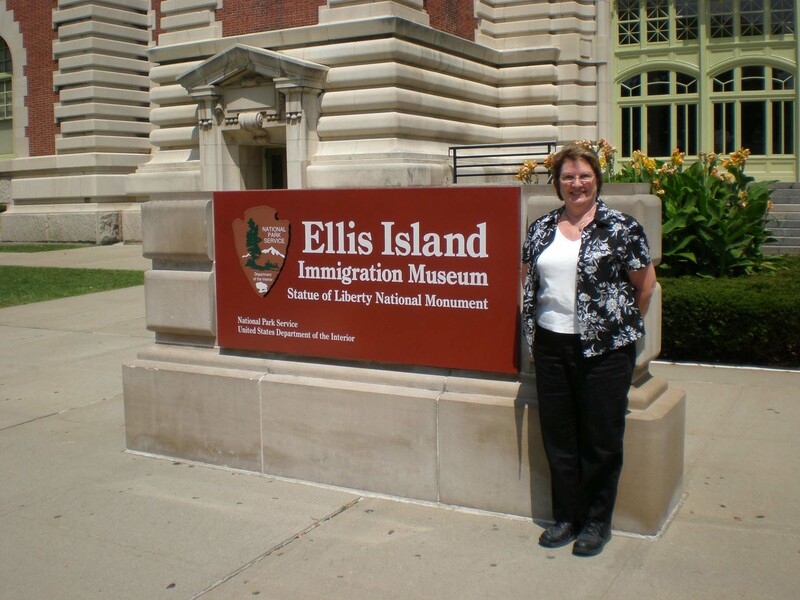 In 1892 Ellis Island officially opened it's doors to immigrants of various lands. 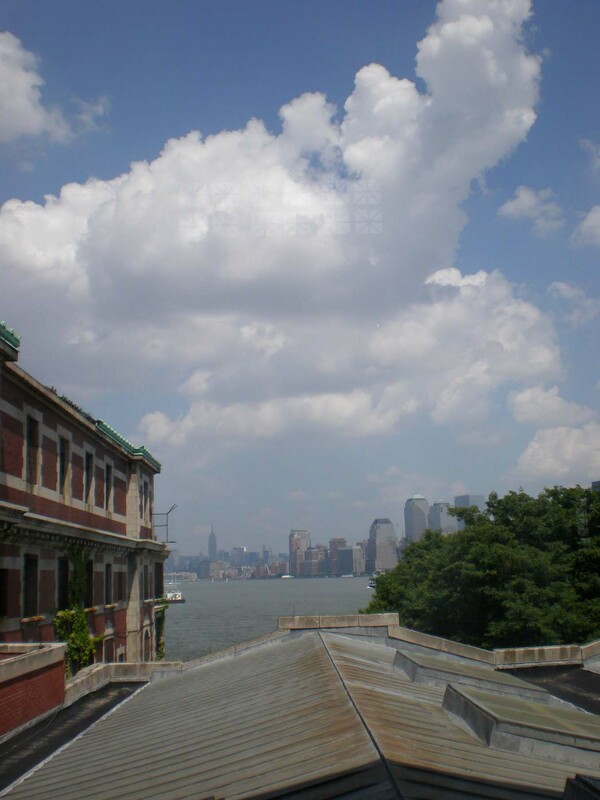 During the next 32 or so years over 20,000,000 people entered the United States through Ellis Island. 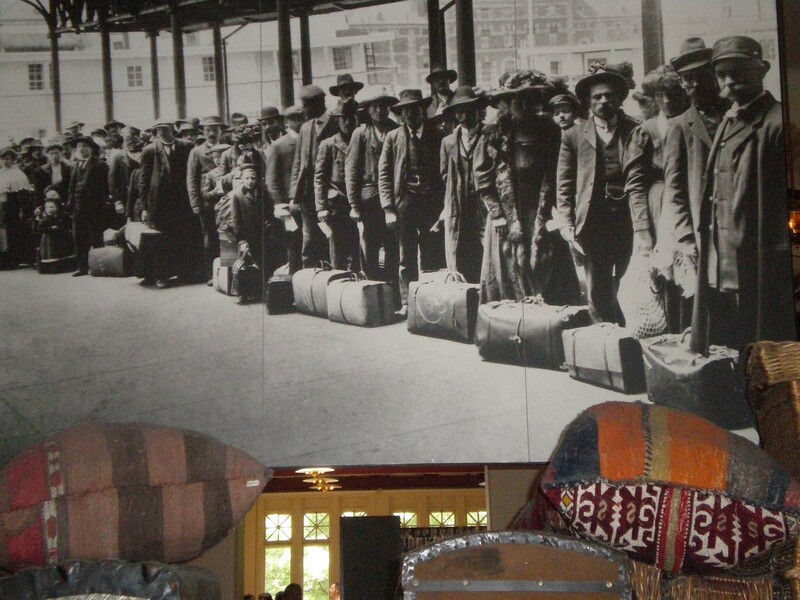 The muesum on Ellis Island tells their story. 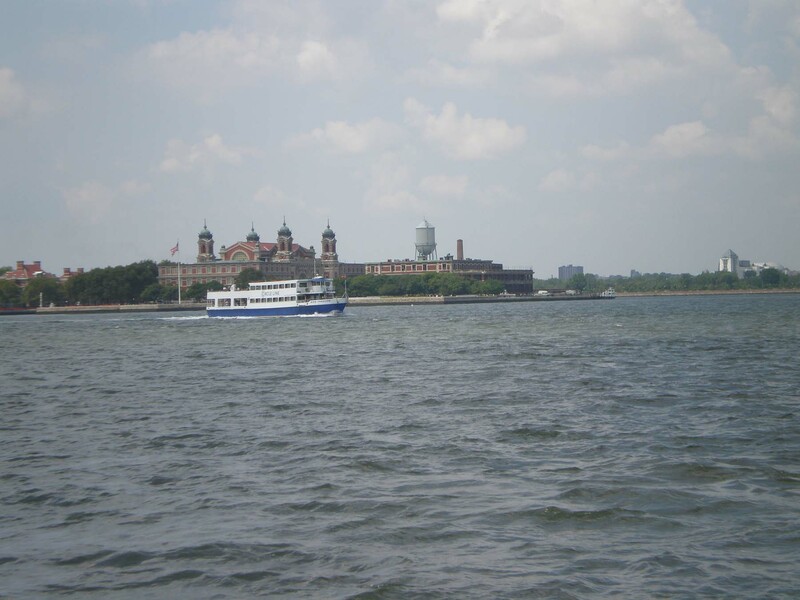 If you want to visit Ellis Island, there is a ferry that will take you there from Battery Park which is located on the tip of Manhatten. Once there you can take rent a recorder that will play you a story of these people and their quest to reach the shores of New York. You can advance the recording as fast or slowly as you wish. 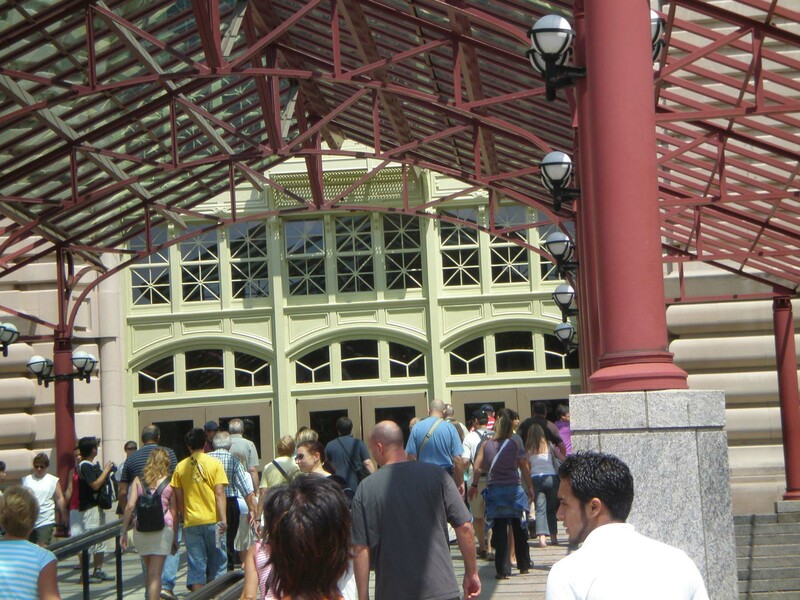 The ferry also stops at Liberty Island where the Statue of Liberty is. Here is a sample of what you will see on your visit. Click on any picture to enlarge it. 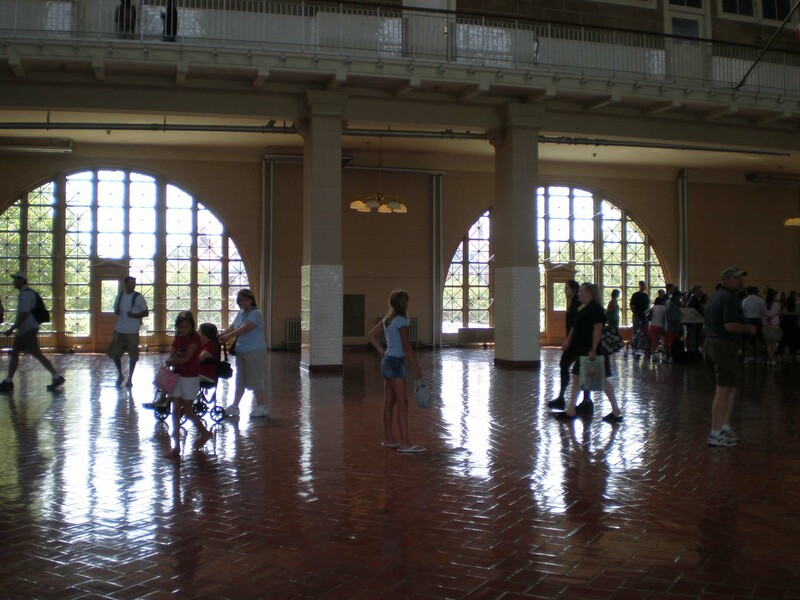 Below is the Reception Hall where the immigrants first went when they arrived on their ship. Although this room looks large, sometimes there were thousands of people here at the same time. 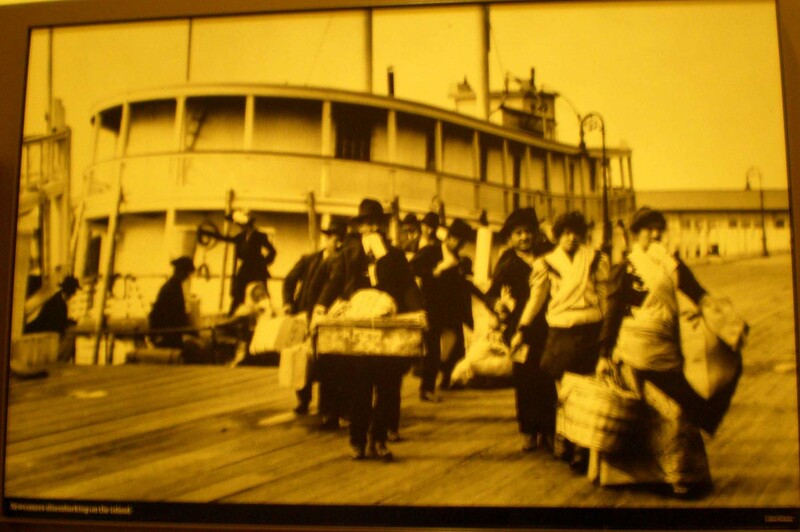 As the immigrants left their ship home of many weeks, they took all of their belonging and headed inside the Reception Hall to begin their new life. 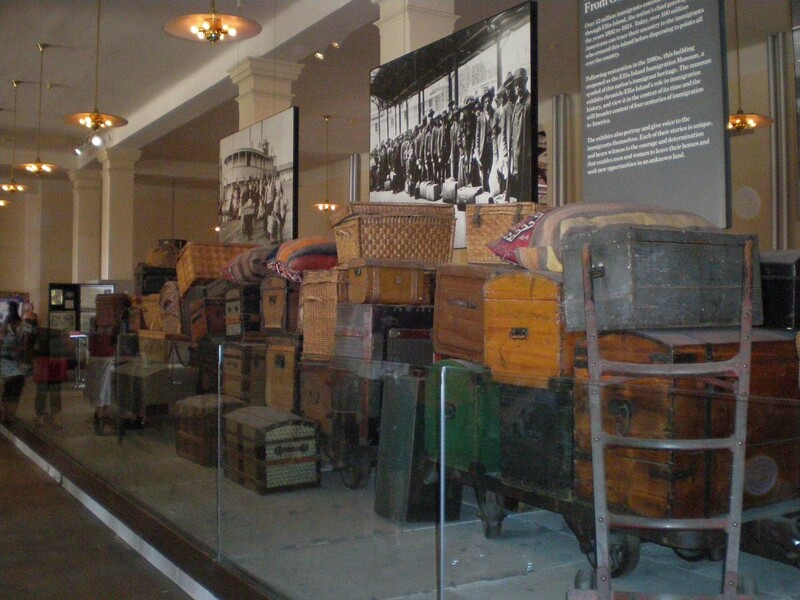 This picture shows examples of what their luggage might have looked like as they stacked it up while they were processed.. Most newcomers would make it through the Registration process and then be taken for a medical evaluation. 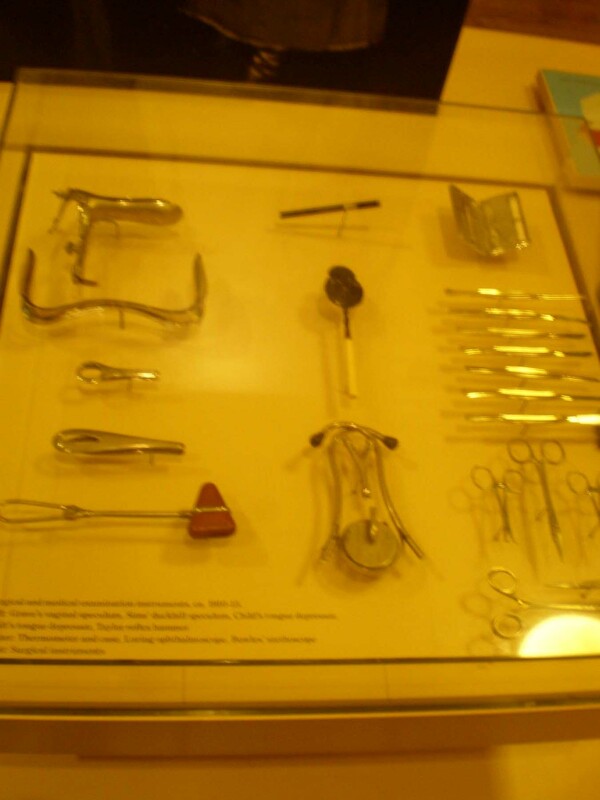 The tools below look like some that our doctors are still using today. 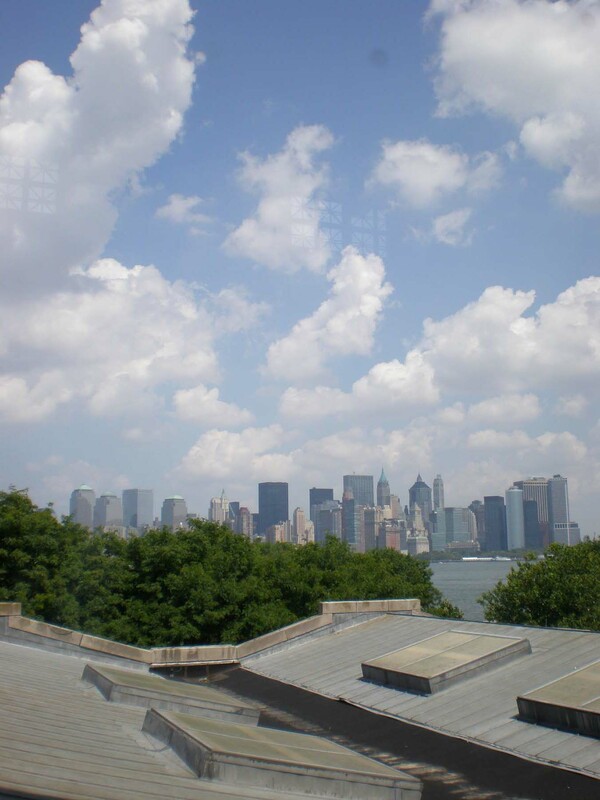 These two pictures show the skyline of New York from two separate windows in the Reception Hall. You have to wonder what the immigrants might be thinking when they looked out the windows and saw the skyline as it was when they arrived. So close, but so far away.